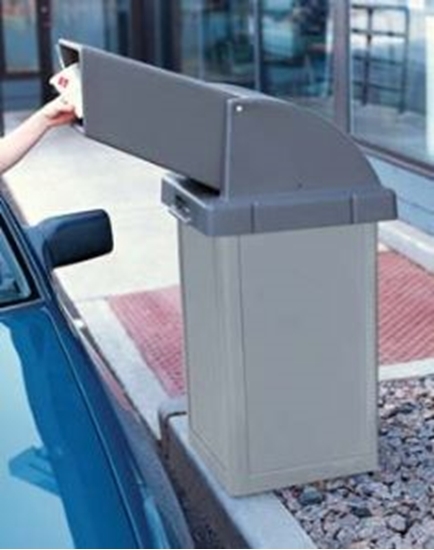 This 24 gallon plastic trash can is made of commercial grade plastic and features an extra long drive-up top and self closing push door. This is a must have for any fast food drive thru or parking lot. Includes a 24 gallon recycled plastic liner, retainer ring, security cable and leveling bolts. It is a very sturdy and attractive container that can be used in many locations. Available in a variety of colors. 30 Gal. 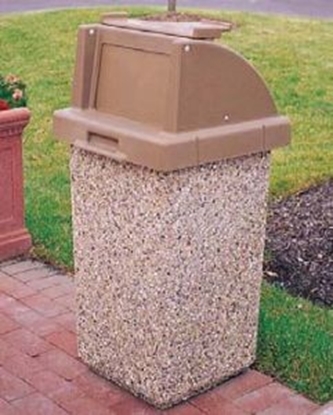 Concrete Trash Receptacle with Push Door Lid & Tray Holder, Portable, 280 lbs. 30 Gal. 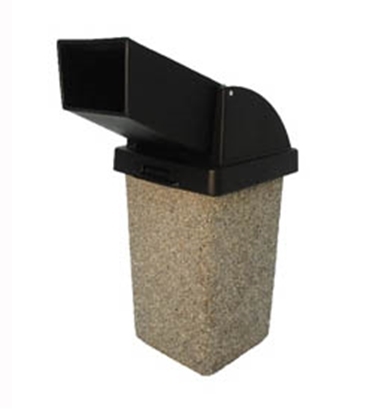 Concrete Trash Receptacle w/ Drive-Up Top, Portable, 280lbs. 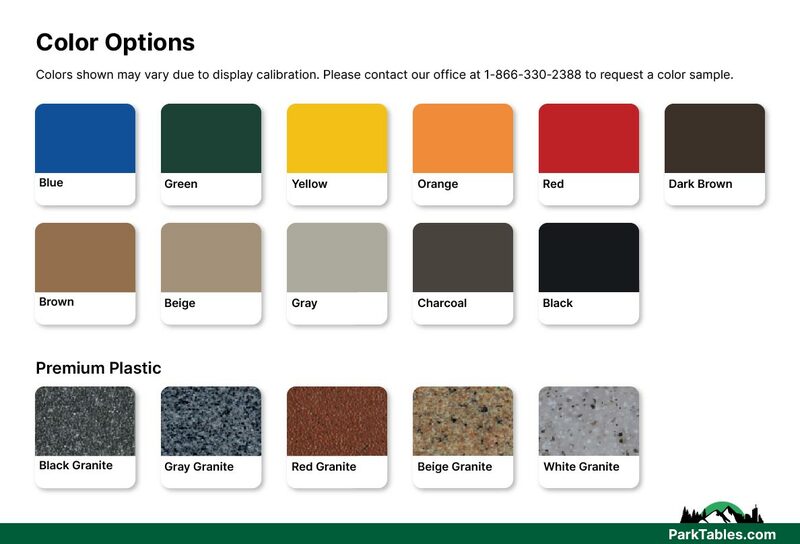 Wheelchair Accessible Square Picnic Table 42 Inch Plastic Coated Perforated Steel with Bolted Powder Coated 2 Inch Metal Tube, Portable, 195 lbs.